for playing a lovely piece from the "Dances of the Dolls" by Shostakovich, and was accompanied by his mother on the piano. We are proud of you, Ali, keep playing the flute with Mom. Carry on playing the piano too, you have a natural flair for both instruments! 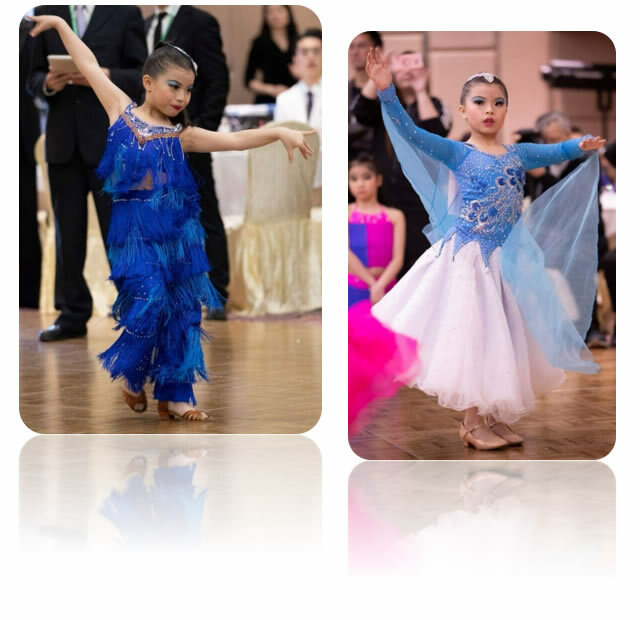 Sarah's friends and teachers are very proud of her achievements and would like to encourage her to keep on going, keep on dancing and keep on pursuing her hopes and dreams! Hello, my name is Marco Tang, I am a Year 13 student in Korean International School. I have studied in KIS for 5 years. This year in Y13 I have received seven offers from different US universities. These included Kelley School of Business (Indiana University), Rutgers business school, New Brunswick and Newark and W. P. Carey School of Business (Arizona State University). These business schools are ranked in the top 25 in 2018 US News report and ASU is considered one of the most innovative University in the United State. However, many parents who attend the school tour, often ask me the question…can my child study in the USA in the future with A-level examination? The answer is yes. I am the proof. The A-level result is well recognized and highly valued in most US universities, many students who finished A-level with good grades are often able to transfer their A-level score into university credits for their freshmen year. Let me give you an example; let’s use Boston University as an example, a freshman who complete their A-level subject like Math, Economics, Psychology and Physic etc., with grade A, B or C are allowed to transfer up to 8 credits in Boston University according to their major. In order to apply to US University, most schools required students to take the ACT (American College Test) or the SAT (Scholastic Assessment Test), these two tests are the US university admission test for a student who applies undergraduate degree in the US. No matter which curriculum you are studying (e.g. IB, AP, A-LEVEL, DSE), you are always required to take one of the two tests as a primary requirement. Also, for competitive University like New York University, Rutgers University, USC etc. These universities often want the students to take 2-4 additional SAT Subject, which can include history, science, further math or languages. After finishing these examinations, it’s not enough. US university always looks for well-rounded students, they need students with good school grade, English Proficiency (IELTS or TOEFL), leadership experience, caring to the society, teamwork with others and the interest toward the major and teachers’ recommendation (usually from 3-4 subject teachers). The student can demonstrate these from their school report, admission essays, community services and leadership records and teachers’ recommendation letters. Texas A&M University (TX) "Top 10%"
Washington State University (WA) "Top 10%"
Univ. 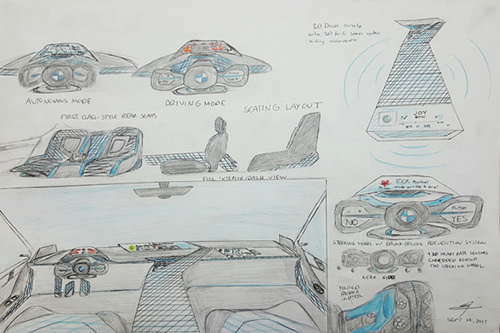 Texas--Dallas (TX) "Top 10%"
Congratulations to Gen from Y13 won the prestigious BMW design competition for Hong Kong; his design of a car for the future won first place! Ka Yan’s skating school is Cityplaza Ice Palace. She has been skating for almost 6 years. 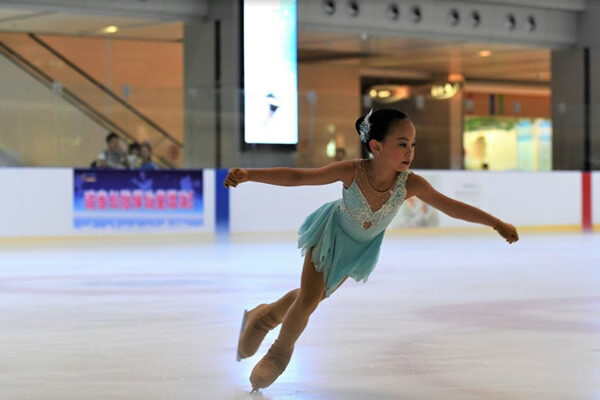 She is now in the Freestyle Level 5 (half way to the highest Freestyle Skating Test Level 10) under the Ice Skating Institute Asia (“ISI Asia”). Her favorite songs to skate with are “Rainbow” and “Shine” from the movie of Ballerina for these days. She enjoyed every competition she participated in and learned to be persistent. She learned “No pain no gain” and “Practices make perfect” from ice skating. KIS Finalists at Hong Kong Young Writer’s Competition! The Award ceremony was held on the 21st March 2018 in the Ocean View Court in Cyberport. We were enthralled with the overwhelming response of our students. This was our first year, and our literary exploration focused on the topic ‘New Journeys to the West’. 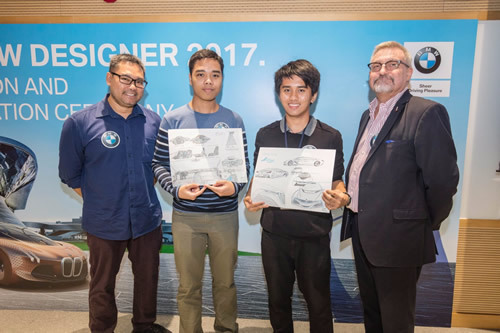 It was a great opportunity for our students to unleash their creative side. Congratulations to our budding writers. 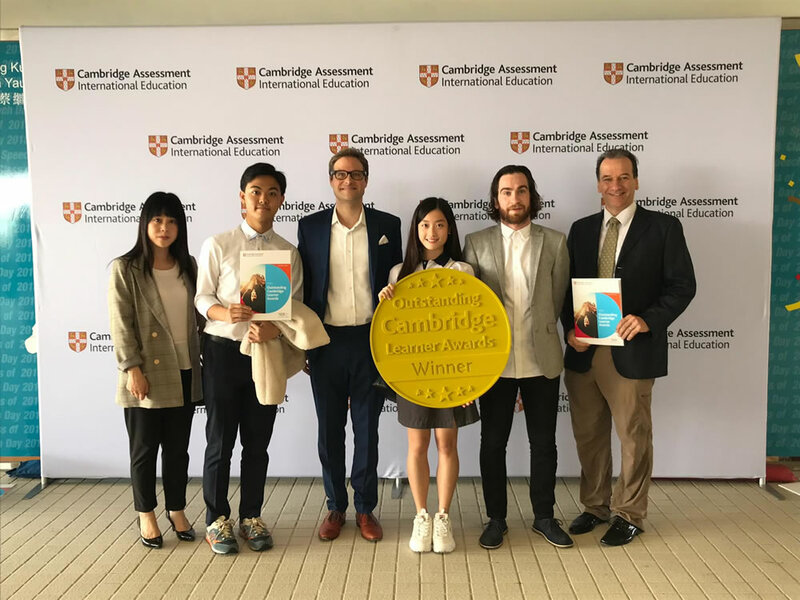 The A-level result is well recognized and highly valued in most US universities, many students who finished A-level with good grades are often able to transfer their A‐level score into university credits for their freshmen year. In order to apply to US University, most schools required students to take the ACT (American College Test) or the SAT (Scholastic Assessment Test), these two tests are the US university admission test for a student who applies undergraduate degree in the US. No matter which curriculum you are studying (e.g. IB, AP, A‐LEVEL, DSE), you are always required to take one of the two tests as a primary requirement. 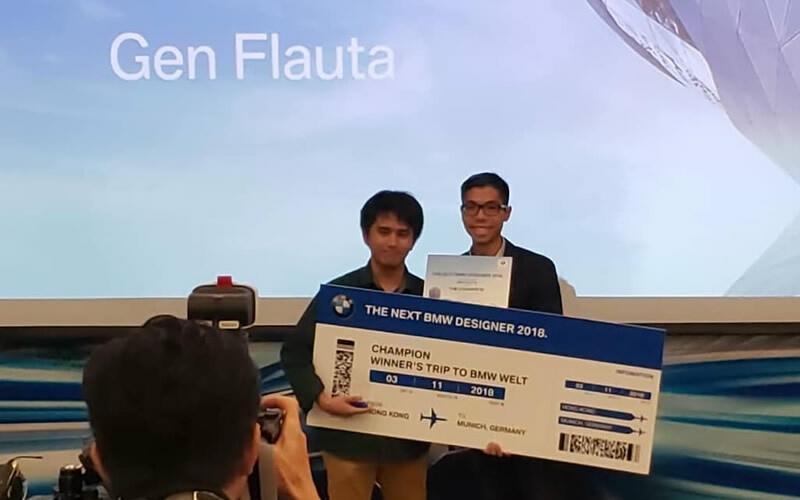 Also, for competitive University like New York University, Rutgers University, USC etc. These universities often want the students to take 2-4 additional SAT Subject, which can include history, science, further math or languages. After finishing these examinations, it’s not enough. US university always looks for well‐rounded students, they need students with good school grade, English Proficiency (IELTS or TOEFL), leadership experience, caring to the society, teamwork with others and the interest toward the major and teachers’ recommendation (usually from 3-4 subject teachers). The student can demonstrate these from their school report, admission essays, community services and leadership records and teachers’ recommendation letters. Then, with a suitable chosen school list together with the university coordinators, hopefully, many offers will come to you. Evan has been playing rugby for 3 years. Last year, he got a 2016 ~ 2017 MIP (Most Improved Player) Award from Hong Kong Football Club Rugby Team U13. This year he is playing for U14 Team. He goes to the Club training every Thursday and Sunday. 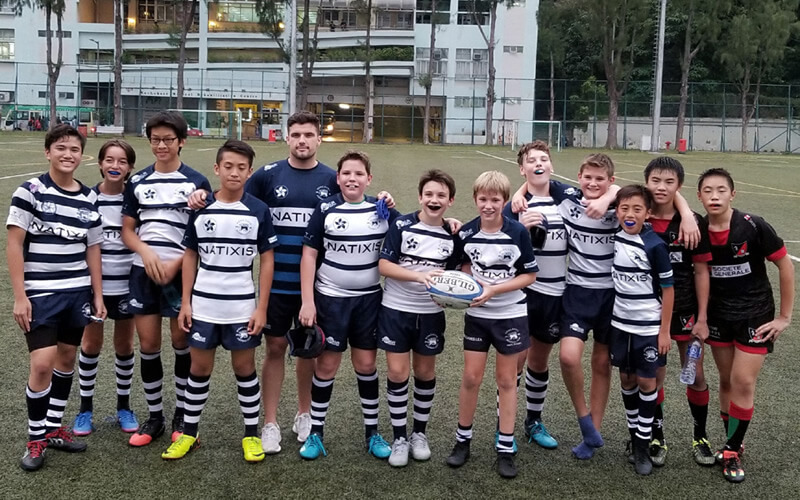 In November 2017, he was selected by Hong Kong Rugby Union as U14 Team NAG (National Age Grade) Training Programme and goes to training every Monday and Wednesday. This year, his first match was played for Island Lions U14 Team in NYD (New Year's Day) Youth Tournament 2018. 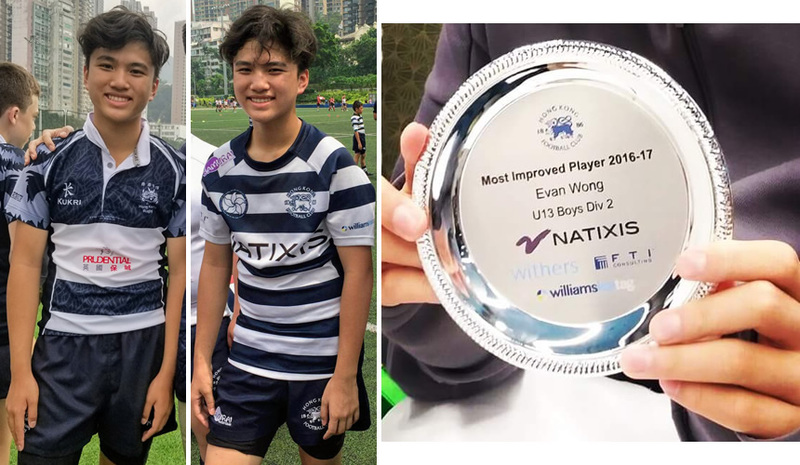 Now he has been putting his greatest effort into every training in order to get into 2018 Cathay Pacific/HSBC Hong Kong Sevens U14 boys team which will be held on 6~8 April at the HK Stadium. And the selection will be going to be held on mid of March. Good luck to him. 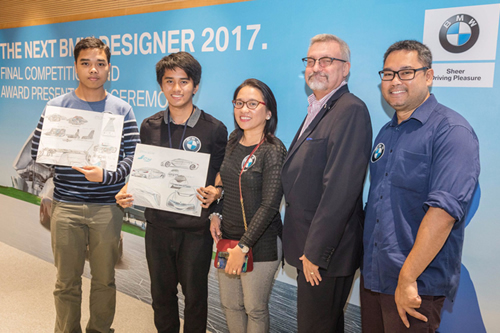 Our student Flauta Gen Randolph joined the “The next BMW Designer 2017” car design competition and entered the finals. The BMW and Sing Tao Daily invited our principal, teachers and students representatives to attend their award ceremony. Thank you. As said, please find the letter from HKBA for your further action. I will complete the form and return to Oswin. It is a long way to success. It's only a story and I am happy to share about Oswin's baseball journey with you. He started playing baseball (T-ball) at 5 years old. He joined the Hong Kong Baseball Association training program for a year and then joined Tsuen Wan Baseball Club. At that time, he learned the basic skills. The coaches were tough and highly focused on fitness training. At that young age, they have to run as much as 10+ laps of 600m. Also, at that time they learn how to work as a team. Sadly, the Club was not able to recruit new players. Therefore, most of our players joined other Club. Oswin joined Shatin Baseball Club at around 8 years old. It is one of the local baseball club with long history in Hong Kong. He played various positions including pitcher, catcher, short stop, second and third base. Since then, he joined Little League Baseball every year starting from Minors, then Majars, and now become the second year in Junior Team. He is the catcher this year and last year. 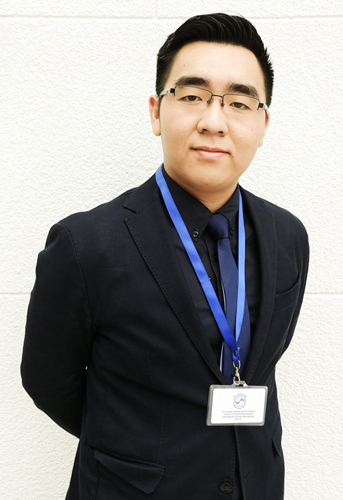 Oswin left Hong Kong and continued his study in Melbourne, Australia when he was Grade 4. He didn't give up playing baseball. We joined the local baseball clubs and played their Summer and Winter Little League Baseball. 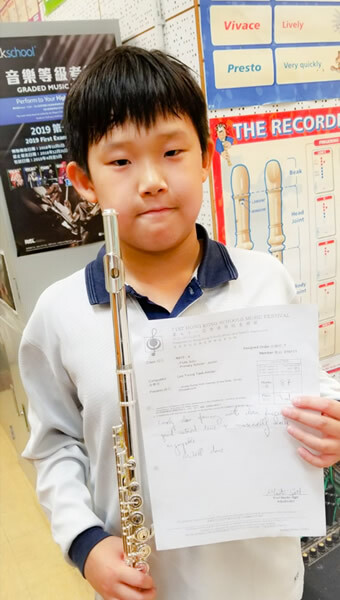 He returned to Hong Kong when he was grade 6. He enrolled into Korean International School and at the same time returned to Shatin Baseball Club. He likes baseball so much that he even practice throwing and catching the ball against the wall at home. Over these years, he has been awarded the best batter and the most valuable player. In 2016, he was selected to the Asia-Pacific Tournament Major League Baseball represent Hong Kong. He got his first homerun in the game with China. In 2017, he was selected to the Asia-Pacific Tournament Junior League Baseball represent Hong Kong again. This year, he was also selected to participate the BFA U15 Baseball Championship representing Hong Kong to play games in Japan in Nov 2017. The baseball League season is coming soon. Oswin is practicing hard with his teammates to get ready for their first game. Should you need further information, please let me know. Jasper Thong is a born adrenaline junkie. 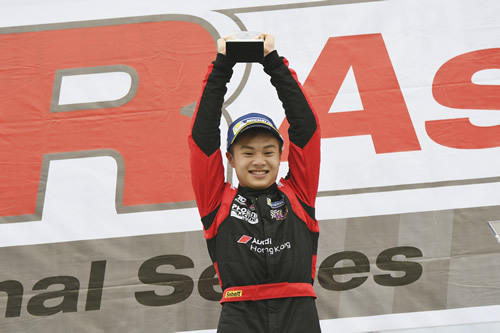 One of the best drivers in Hong Kong, 17-year-old racing prodigy Jasper Thong, is still too young to get his driving licence. He made his professional racing debut last year at the 2016 Audi R8 LMS Cup at 16, making him the youngest driver in the cup’s history. While competing with older drivers was intimidating at first, he is now confident he can race anybody. The sport was probably a natural fit for Jasper, who has been an adrenaline junkie from a very young age. 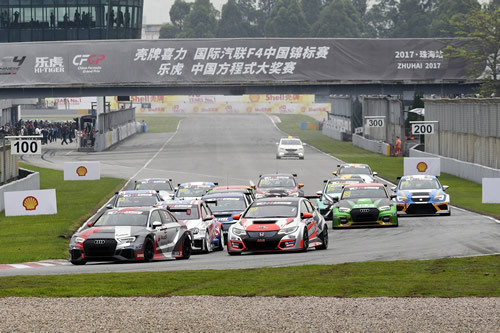 That attitude seems to be paying off: he won his first pro race at the TCR Asia Series in March racing a brand new car, the Audi RS3 LMS. Not only was it his first win, it was also the first win in the car’s history. Jasper Thong is a racer, but he doesn't even have a drivers licence yet. Racing runs in the Thong family: like Jasper, his older brother Shaun is an official driver and ambassador for Audi Hong Kong. The former Korean International School student said that although he has learned a lot from Shaun, 21, there is definitely a sense of competition between the brothers. “We always want to get ahead of each other,” said Jasper. “There have been times where we have raced in the same car in the same race, and even though we represent the same team, we always try to beat each other. As confident and as competitive as Jasper is, he is humble enough to recognise he still has work to do to achieve the same success as his brother. And despite the rivalry, and the fact that they no longer live or train together, there is still plenty of love between the siblings. Like Shaun did before him, Jasper will go to Britain for university, while continuing his racing training. He will fly back to Asia periodically so that he can continue racing competitively. 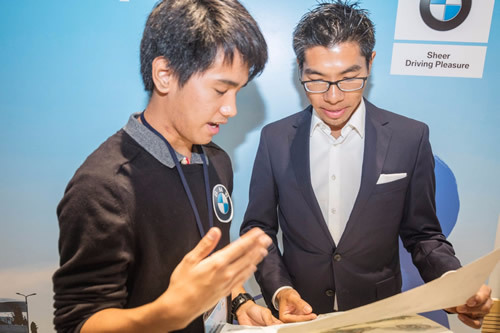 After his studies, Jasper hopes to return to Hong Kong to continue his career and help continue the growth of motor sport in the city.